In the word “בְּרֵאשִׁית”, “In the beginning”, we have the word יראת, “Awe” and “יש”, meaning ”in existence (things that have substance)”. The Zohar explains that the letters יש with numerical value of 310 is reference to the number of worlds that God will give as gifts “שי” to the righteous people who have pure love and awe for him. The Israelites left Egypt, which was the world that was all about the material and physical existence. They followed Moses in order to connect to the spiritual system of YHVH as did Abraham, Isaac and Jacob. With the Israelites came the Erev Rav, the mix multitude that were souls of good and bad mixed but mostly bad because in addition to the impure root of their souls, they had the desire for the self alone that was imprinted in them in Egypt for many generations. They followed Moses and the gold that the Egyptians gave the Israelites before they left Egypt. The Erev Rav wanted to be on the ‘winning’ side and enjoy the physical comfort that God provided for the Israelites. 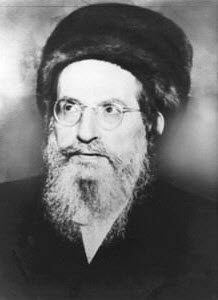 The Erev Rav didn’t have the pure ‘awe’ and love of God like the Isarelites. They followed the Light with a personal agenda. Their faith was weak and got lost quickly when they felt physical discomfort. In Exodus 17:3 they complaint when they didn’t have water. The Zohar tells us that the desires of the Erev Rav were just to get rich. It is also concealed in the word “בְּרֵאשִׁית” as יראת יש, meaning “fear of (lack of) substance”. The Zohar adds that people that follow the precepts or give tzedaka to test God in giving them back material benefits in this world are considered to be from the Erev Rav. Continue in the next DZ “Follow the money or follow the Light”.